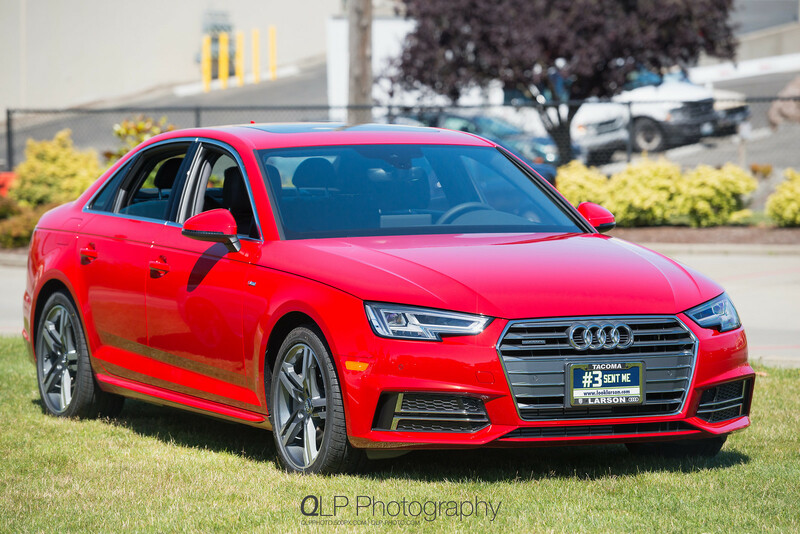 For the fifth year in a row, I made the trek up north to Tacoma, Washington to attend Audi Expo 2016, held at Griot’s Garage. As with the past several years, I brought along some photography gear to cover the event. This time, I had my trustworthy Nikon D800E and an AF-S 70-200mm f/2.8 VR II along with a new Nikon D500. The D500 was paired with an AF-S 17-55mm f/2.8 DX that I rented to cover the wider to normal range. 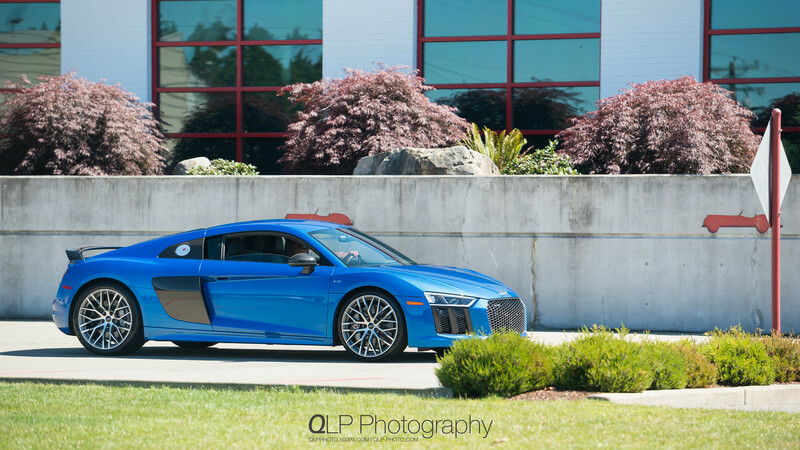 One of the highlights at this year’s Audi Expo was a 2017 Ara Blue Audi R8 V10 plus that was provided by Audi of America. 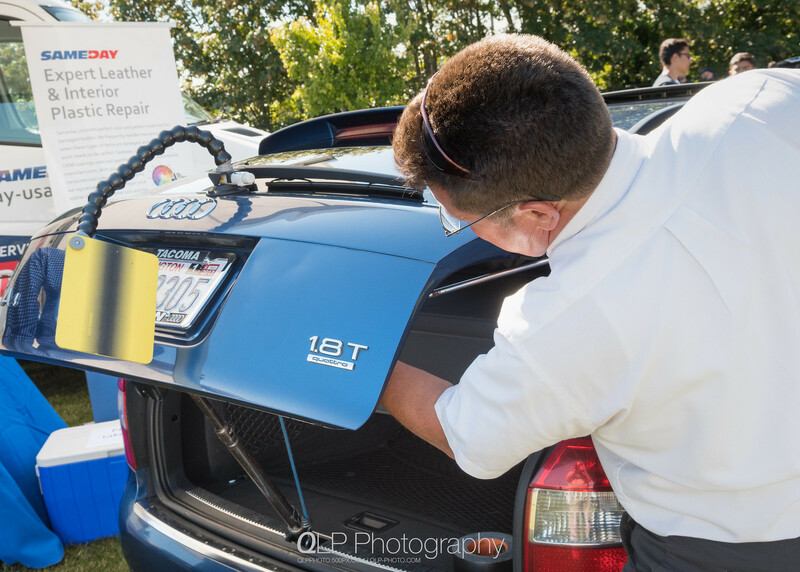 Although the R8 has been making its rounds at several stops in the Pacific Northwest, this was the first time that I would get to see it in person. I had been waiting quite a while to see Ara Blue in person, as I had been ogling over it ever since it became the new concept car and auto show paint color of choice. 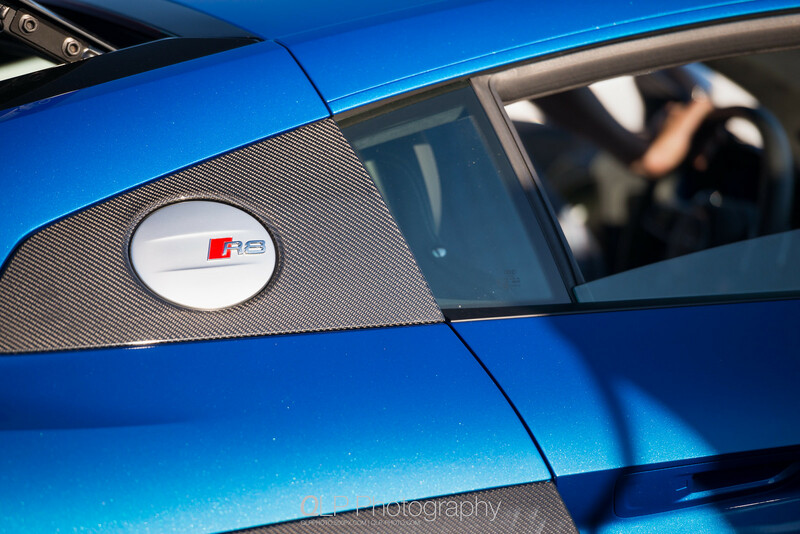 I see it as a perfect replacement for the, now, ubiquitous Sepang Blue that has been available on recent S, RS and previous generation R8 models. In the bright sun, Ara Blue gets very close to being as vibrant as Sprint Blue and transitions to a deeper shade of blue that is similar to Sepang Blue. Unlike Sepang Blue, Ara Blue does not exhibit the purple color shift that comes from Sepang Blue’s pearl effect. 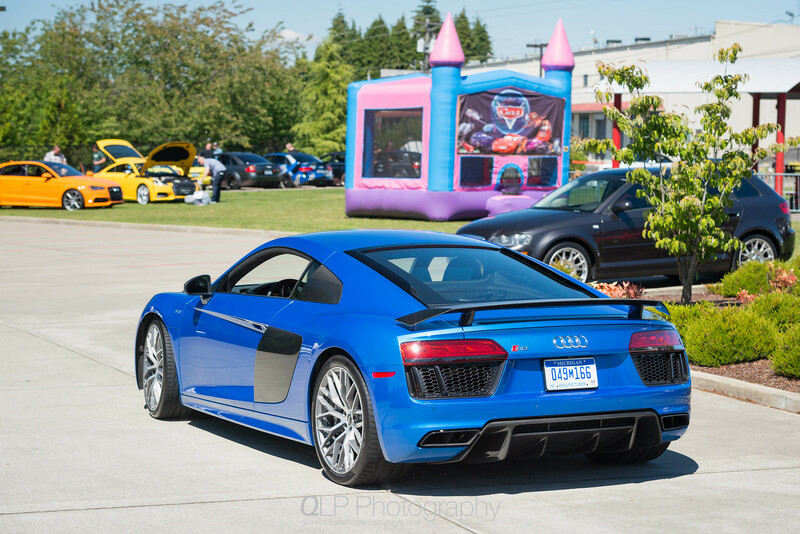 For comparison, below is a photo of a Sepang Blue Audi R8 V10 that was parked not very far away from the Ara Blue R8. 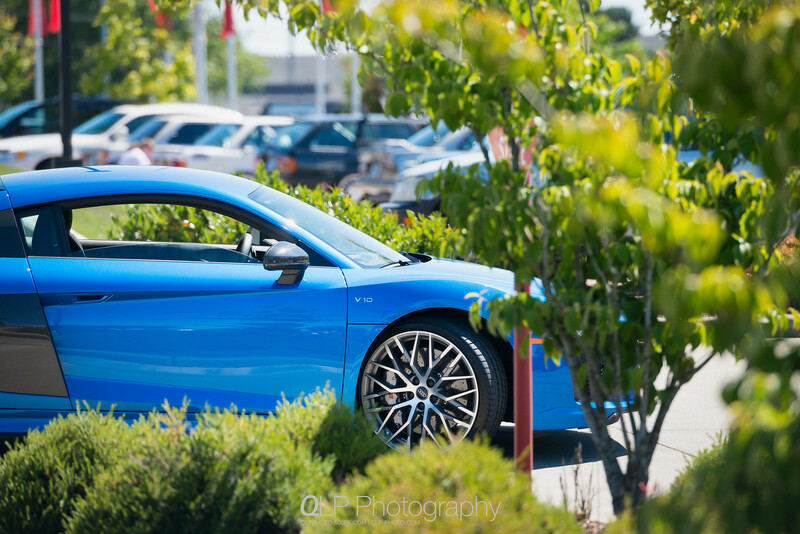 Along with the Ara Blue Audi R8, both Audi Tacoma and Audi Seattle brought a couple of cars that were on display. 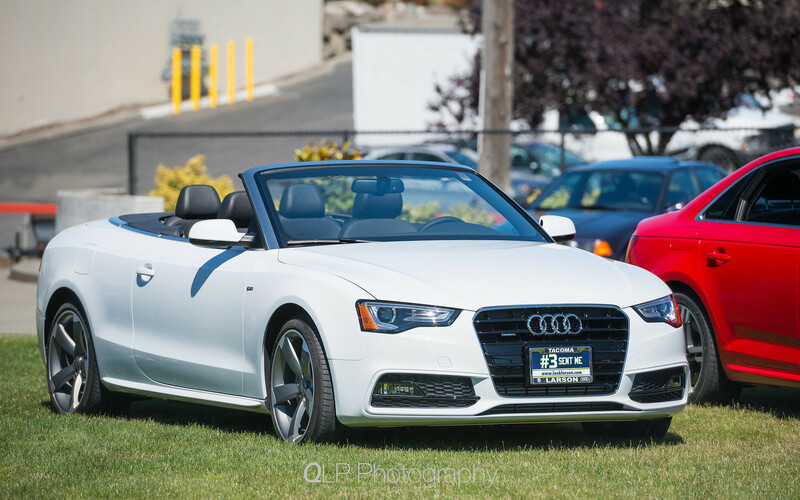 Audi Tacoma brought a white Audi A5 cabriolet and a new red Audi A4. 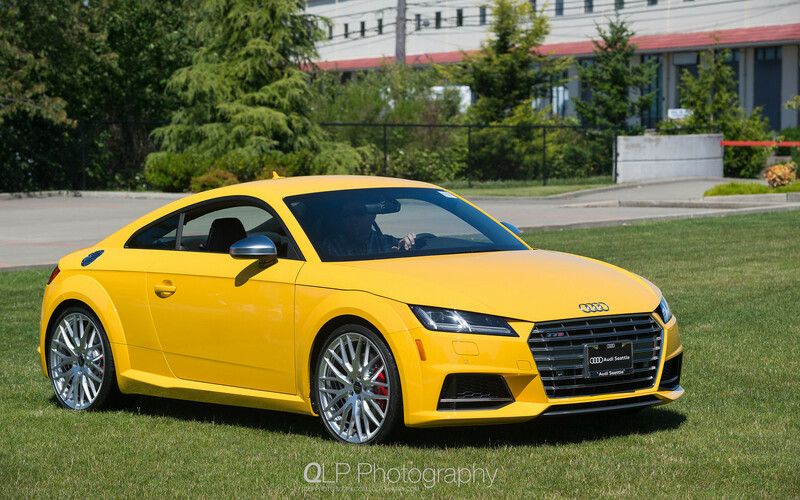 Audi Seattle brought along a pair of pocket rockets: a Vegas Yellow Audi TTS and an exclusive Glut Orange Audi S3. 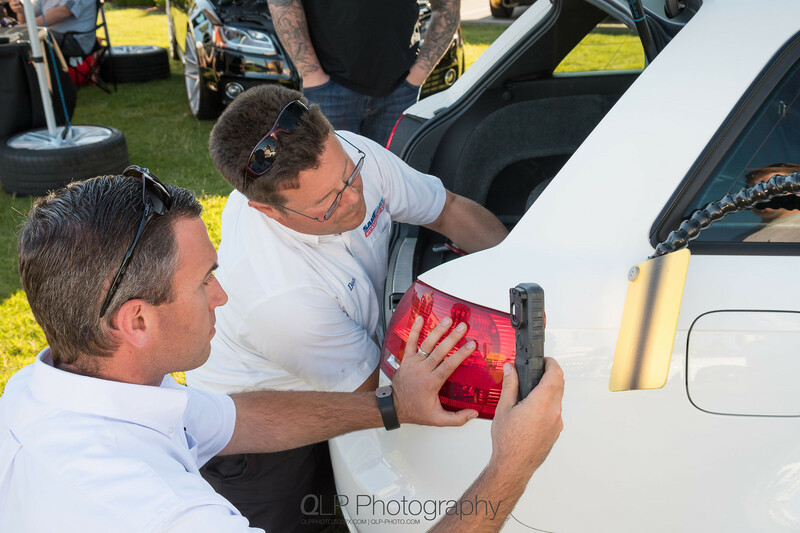 Chris and Don from Sameday were at the event and worked on and demoed their paintless dent removal process on a pair of Audi A4 Avants. In addition to Audis, Audis and more Audis, there was a beer and wine garden, a bouncy house for the kids (unfortunately, those that are kids at heart weren’t allowed to go in), Ezell’s Famous Chicken food truck was set up to serve up some good fried chicken strips and wingettes. 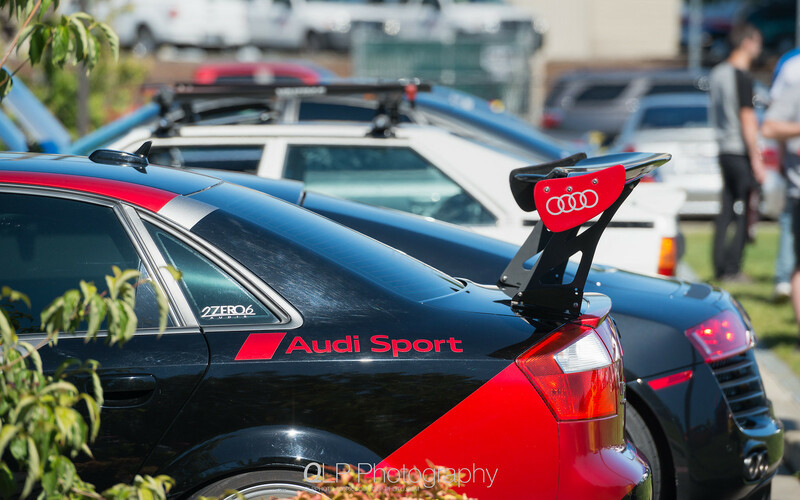 With Audi Expo being held at and sponsored by Griot’s Garage, those in attendance could take advantage of the 15% discount on items purchased at Griot’s to help stock up one’s garage or shop. 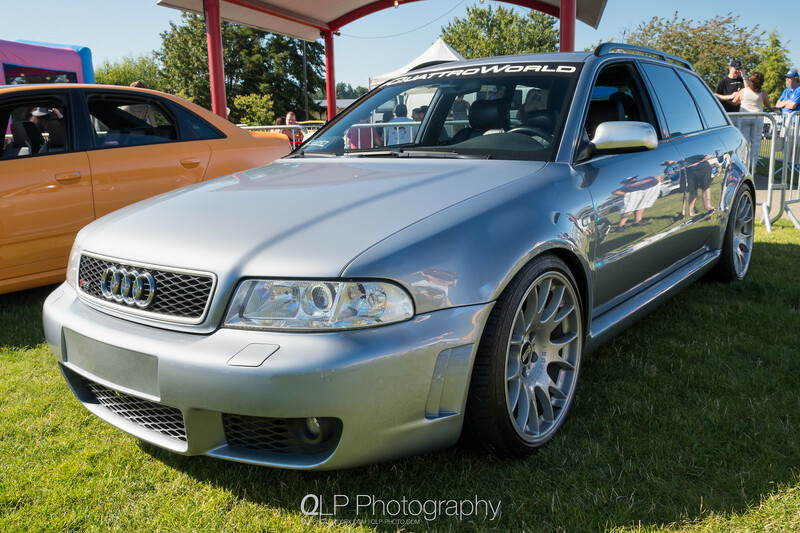 If you were in the market for an Audi Avant, there were three excellent A4 Avants on display that were also up for sale. 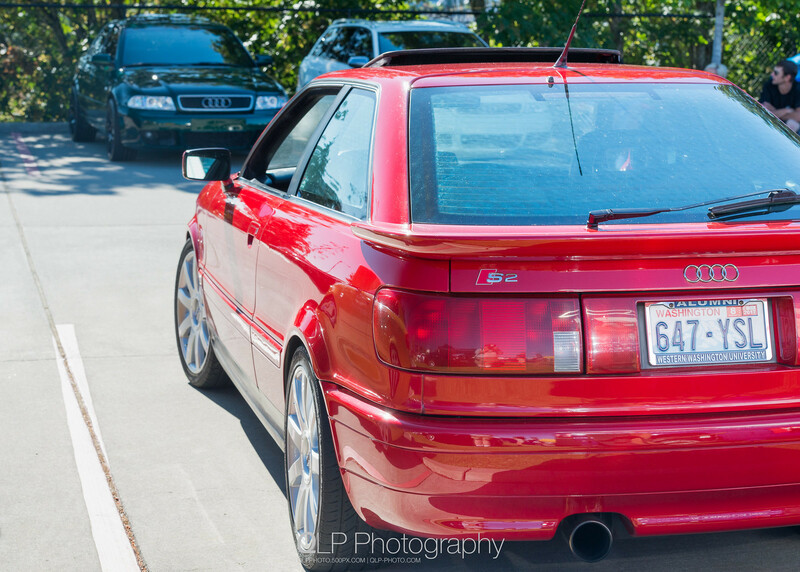 Throughout the event, people got to vote for their favorite car and turn in their ballot, which also acted as their entry for the raffle held towards the end of the event. 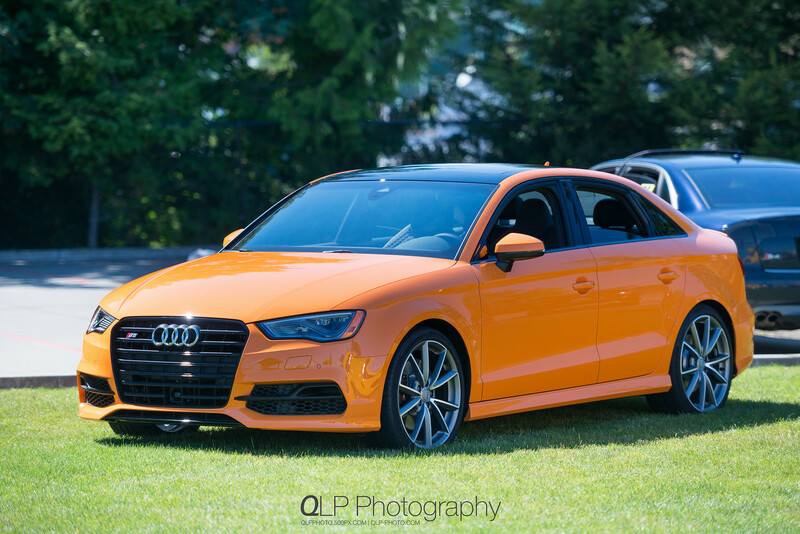 The raffle prizes included several coupons, gift cards and Audi merchandise provided by the sponsors: Addict Motorsport Design, Sameday, Queen City Auto Rebuild, Audi Bellingham, Audi Tacoma and Audi Seattle. 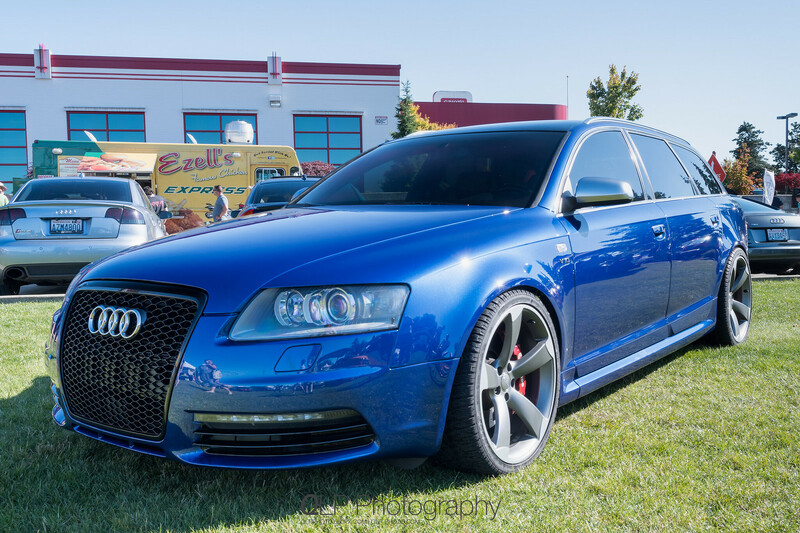 Once all of the ballots were counted, the C6 Audi A6-to-S6 Avant conversion done by German AutoHaus was named Best in Show. 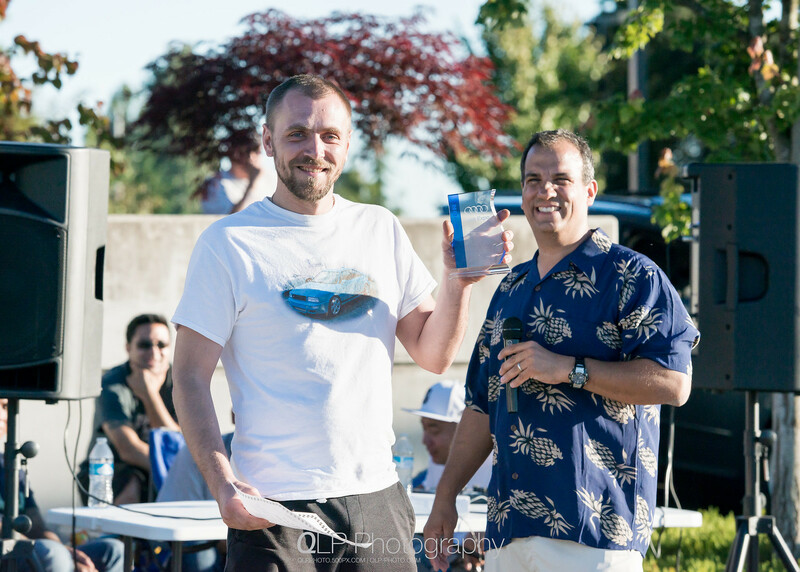 Dmitry of German AutoHaus accepted the award on the Avant owner’s behalf. 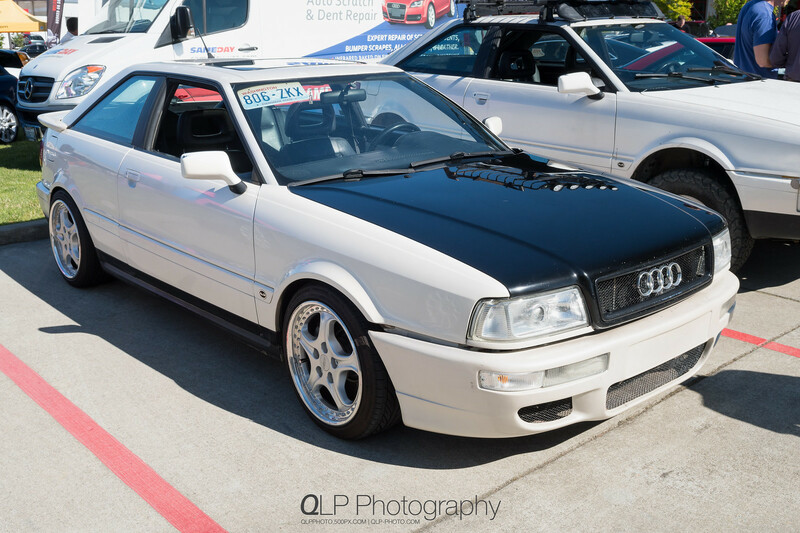 The winner of the Best in Show award received a nice award and a voucher for Saturday track sessions at this year’s Quattrofest, provided by Audi Club. Additional photos can be found in my Flickr photostream under the “Audi Expo 2016” album. 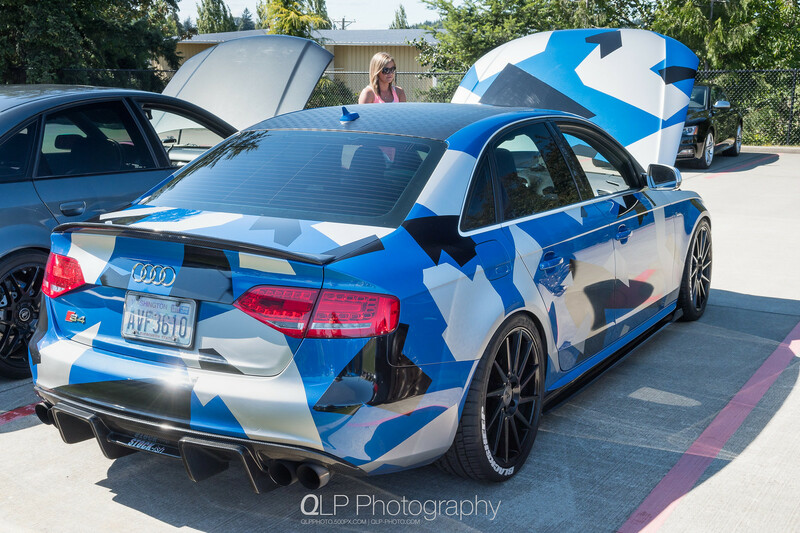 For additional information about Audi Expo, the event sponsors and links to additional photos, visit AudiExpo.com.